A couple of Nigerian players had good outings with their European clubs over the weekend and one of them is Super Eagles defender, Kenneth Omeruo. He scored the winning goal as his Turkish team, Kasimpasa claimed a crucial 2-1 win over Konyaspor to move up to 10th place. 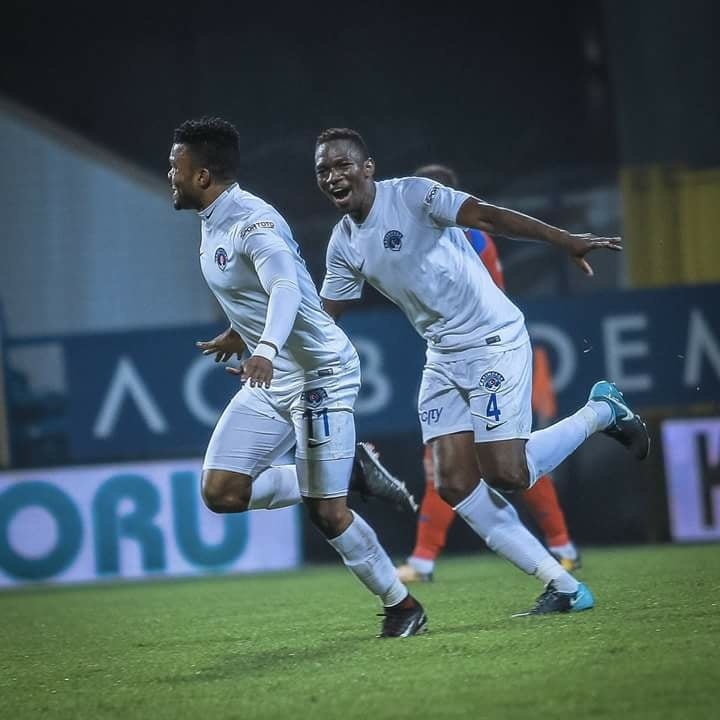 It was an all-Nigeria show as Omeruo's compatriot, Emem Eduok got the other goal for Kasimpasa scoring in the 12th minute off an assist from Markus Neumayr. Omeruo’s winning goal came in the 90th minute and it is his first of the season after eight appearances. Omeruo and his Kasimpasa teammates have a tough test ahead of them as they face Fenerbahce away from home in the next round of league games.